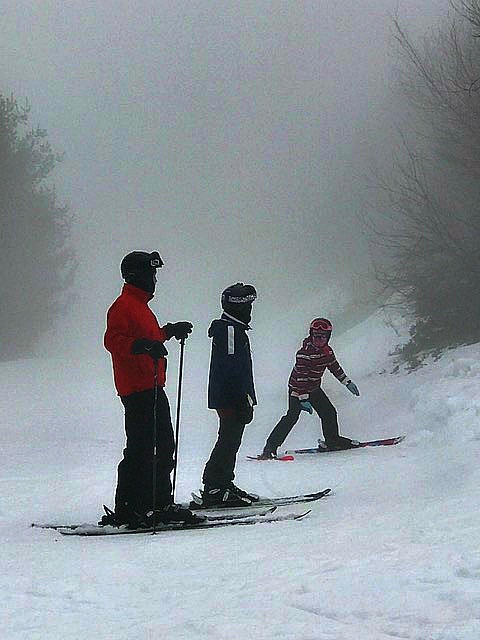 One of our favorite things to do as a family during the winter months is to ski together. Living out on Long Island, NY means that we usually have to travel quite far to get to a mountain that has trails that are suitable for each of our different skill levels. Well, not anymore! 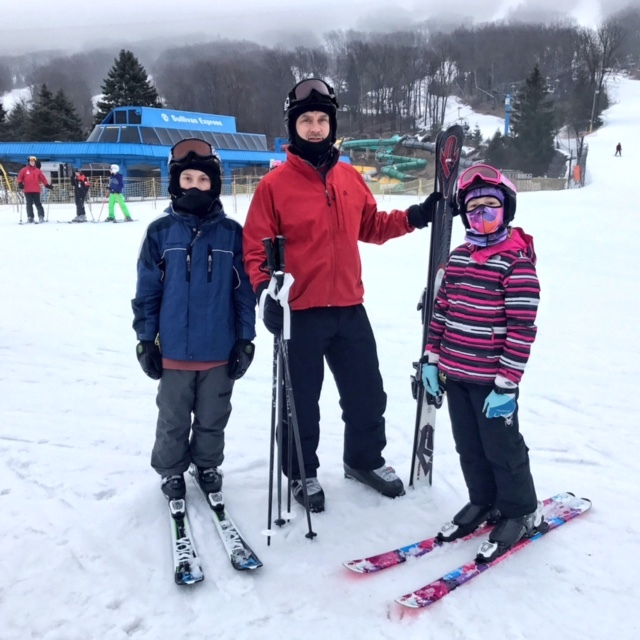 I recently had the opportunity to visit Camelback Resort in Tannersville, PA with the Momtrends team as part of a family ski event. Not only is it a quick drive (just under 3 hours for us) but it’s trails are great for any level skier. Don’t ski? 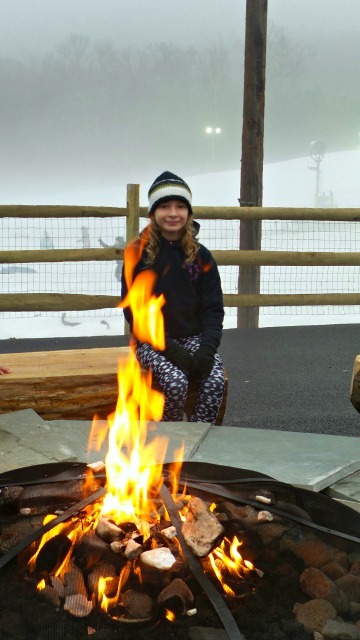 You can go Snowtubing at the biggest snowtubing park in the USA, visit Aquatopia Indoor Waterpark, or just enjoy relaxing by a fire either inside the Lodge or outdoors. There really is something for everyone there. 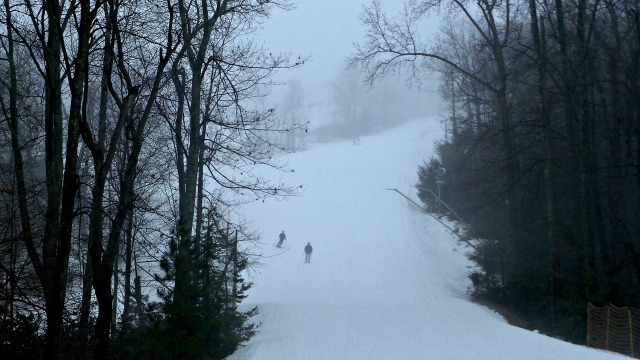 We started our day out on the slopes. It was a bit foggy and warm, but we had a lot of fun out on the trails. 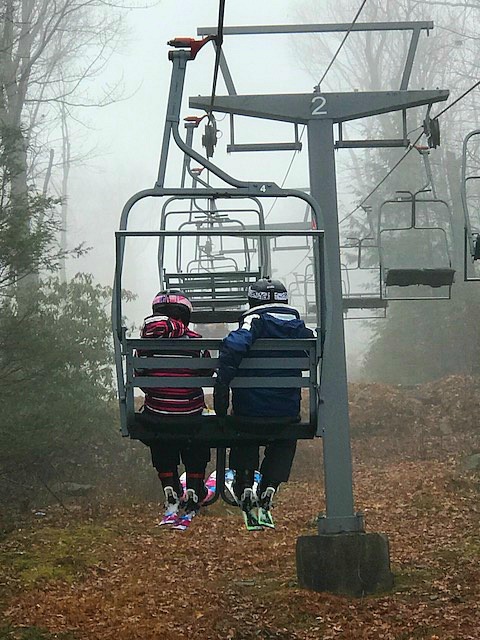 My daughter and I stuck to the Green and Blue trails while my husband and son headed to the Black Diamonds. Although we separated for a little bit, we were still able to meet up a find each other very easily. The Resort has a very intimate feel so even with 38 trails it wasn’t overwhelming and was super easy to navigate. This is so important for a family like ours with different level skiers; we didn’t waste half the day looking for where the other members of our party were. My kids loved the eatery located at the bottom of the mountain. Pizza, burgers, wraps, as well as lots of healthy options were available for purchase. 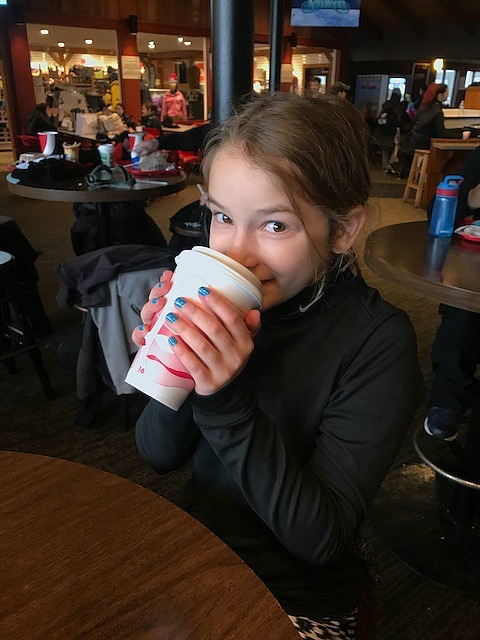 As was the most important thing after a day on the slopes, delicious hot chocolate! Next up was snowtubing. 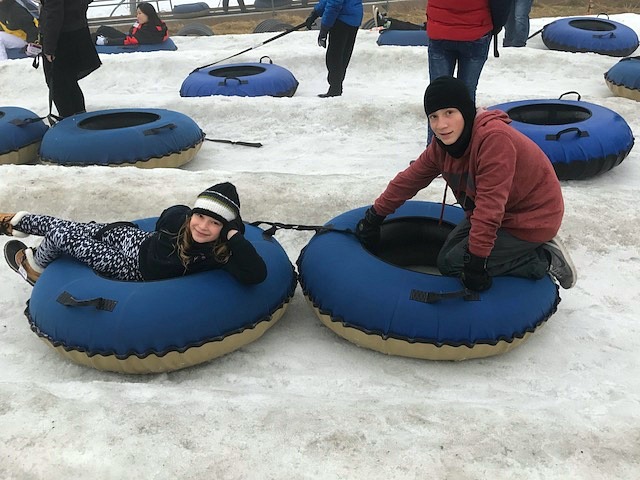 Now, we have been to a lot of snowtubing parks but I have to say , the one at Camelback Resort is THE most fun park we have ever visited! 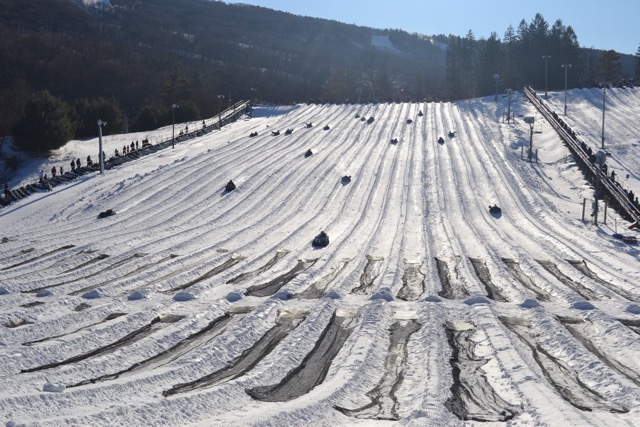 It’s the biggest snowtubing park in the USA! 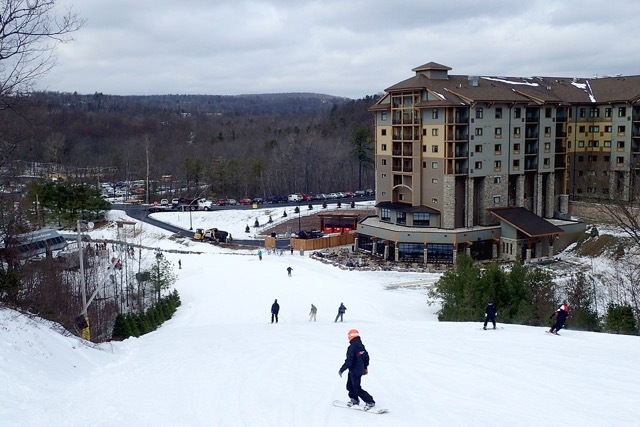 It has 40 tube chutes and two magic carpet lifts to get you right back up to the top. 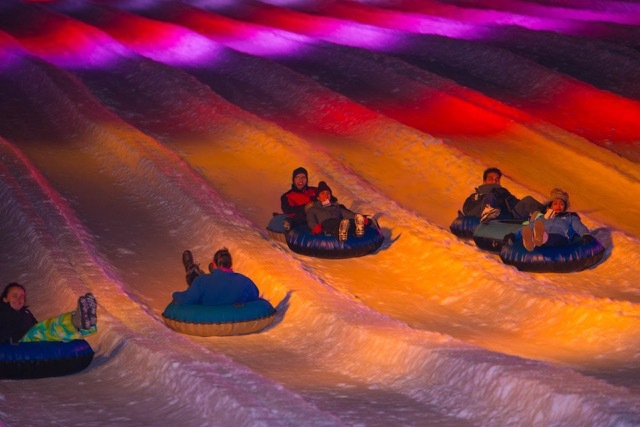 The park even has Galactic Snowtubing this season, an after dark “Galactic” LED light show. My kids didn’t want to leave. 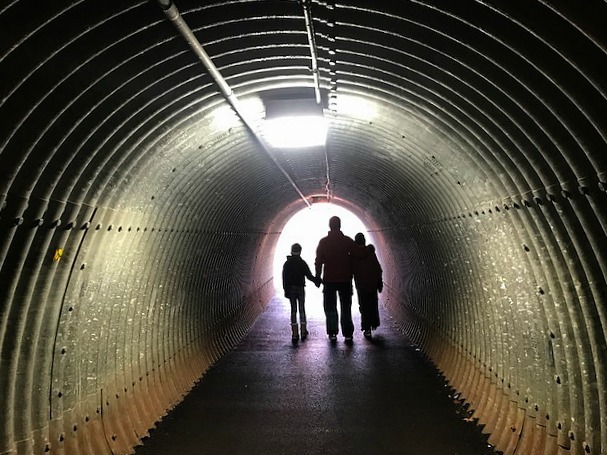 There is so much to do at Camelback that we weren’t able to fit it all in during our visit. 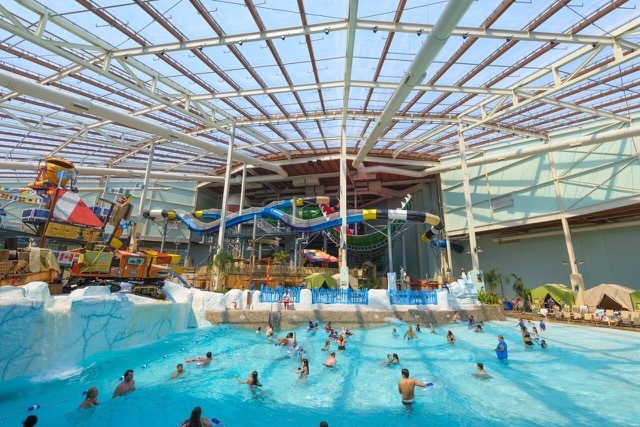 So, we are headed back to Camelback Resort this weekend for some more skiing and a visit to Aquatopia Indoor Waterpark! 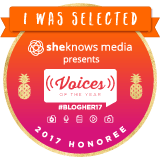 I’ll be sure to post about our experience at the Waterpark and also share more about the different trails we’re going to conquer so, check back in here to get more info! 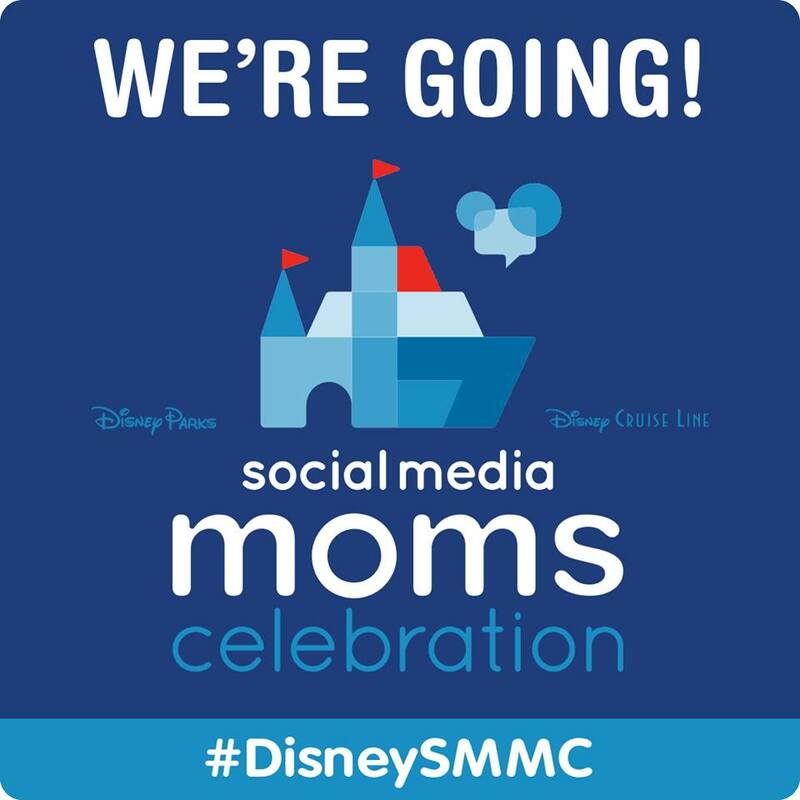 Big thanks to Camelback Resort and Momtrends for hosting us! I love that it has an intimate feel. 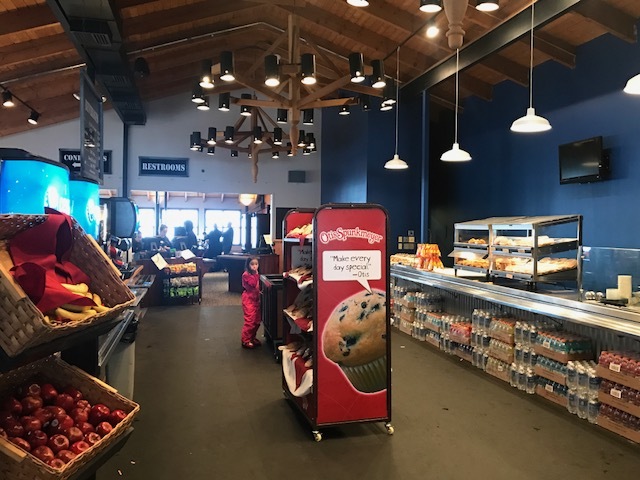 A too expansive feel could be overwhelming for first timers, but experienced skiers can enjoy it too, as you mentioned, since it’s easy to reconnect with their party!